It is the season of amazing fun and exciting concert in Long Island! Have you booked your Jones Beach Concert Limo in Long Island yet? The spaces are filling up fast and this season promises to be a blast. No doubt, concerts in New York City are some of the biggest events around. However, if you have never attended the outdoor concerts taking place at Jones Beach Theatre, then you need to reconsider and make this year a turning point for you. You don’t need to spend a fortune to arrive at this season’s concert; with our affordable Limo Service Long Island, proudly arranged by Long Island Limo Rental, you can have a fun ride to the various concerts of the season. So are you ready to have wild fun at Long Island? Let’s look at some mind-blowing concerts that are slated for the coming month. Why not make a statement with your arrival and steal the show in the spotlight? With our Long Island Limo hourly rate, you can easily choose the ride that will fit perfectly into your budget. So who are the top shot artists performing at the concerts this season? So having made up your mind to ride in one of the best and cheapest Limo Service in Long Island, let us look at some great concerts events to attend in style. Dierks Bentley: On the 8th of September, Dierks Bentley’s ‘Mountain High’ tour will be landing at Madison Square Garden! Wherever you are in the city, our chauffeur will be readily available to give you an exciting limo experience to the concert venue. Nial Horan: It is time to enjoy the scintillating experience of the most musical of the One Directioners who has gone solo with his exceptional guitar driven anthem, ‘This Town’ and of course, the catchy ‘Slow Hands’. Horan is set to take the stage at Jones Beach amphitheater on the 12th of September. You definitely will not want to miss the experience. And you don’t have to worry; our Concert Limo Long Island will be available for your movement to and from the concert venue. David Byrne: David Byrne is set to wrap up his huge ‘American Utopia’ world tour with two major New York shows. One at the Forest Hills Stadium on 15th September, and the other at Kings Theatre, Brooklyn on 17th September. We are available to provide your luxury ride for the event. You can check out our Limo prices Long Island to know the perfect ride to choose. Paul Simon: Madison Square Garden is ready to receive the famous star, Paul Simon as he brings his final tour ‘Homeward Bound: The Farewell Tour’ to town. The concert is taking place on the 20th and 21st of September. So hurry now to book your affordable Limo Service Long Island before we run out of order! Ed Sheeran: It is back to back fun as the English sensation, Ed Sheeran brings his ‘2018 North American Stadium Tour’ to NY’s MetLife Stadium on the 21st and 22nd of September. It is definitely going to be two nights of sheer performance. Joan Baez: The latest legendary artist, Joan Baez, is also ready to set Beacon Theatre on fire with her final ‘Formal Tour’ on the 21st and 22nd of September. Our exquisite Limo Concert Long Island is available for your riding pleasure to the concert venue. It is definitely going to be a blazing September! Don’t be left out of the fun! 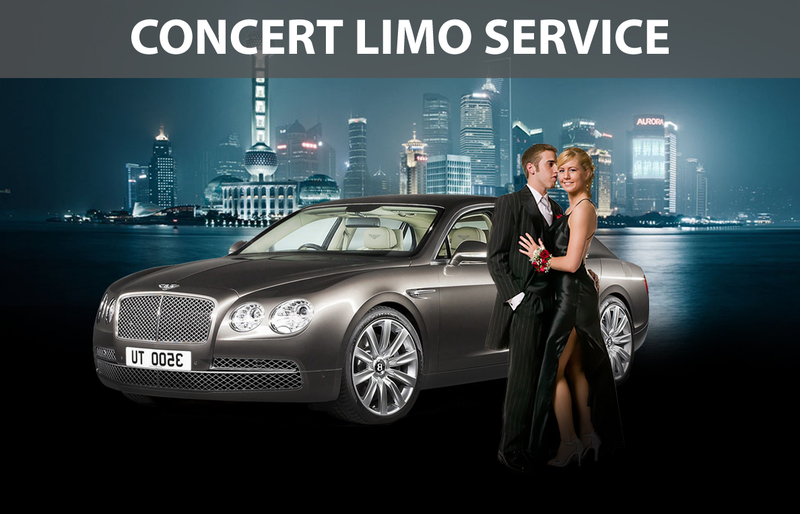 Contact us now for your Concert Limo in Long Island and get ready for a memorable experience. You can also contact us to check our limo prices Long Island.